A marketing plan outlines all the important pieces needed to successfully and consistently market your business. A marketing plan does not have to be lengthy or complicated. Creating a simple marketing plan is something every small business should have to guide your efforts and keep you focused on your goals. Whether you want to focus solely on inbound marketing or you want to integrate online with off-line marketing activities, there are 10 important reasons why your small business needs a realistic but simple marketing plan. Your vision statement is a vivid description about what you want your business to be so that it inspires and motivates you. A well-defined vision creates a mental picture of the business that you are striving to build. Serving as a compass to keep you heading in the right direction. Enabling you to assess the many opportunities that are presented to you and make decisions based on whether the opportunity helps you get closer to your vision. 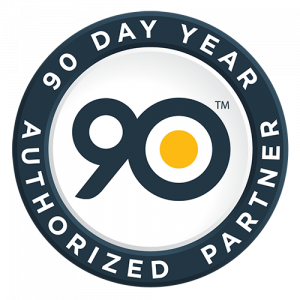 Helping you measure your progress, set goals, establish priorities, and know when to say no. Enabling you to focus on what needs to be done to get there and eliminate anything that wastes time and takes energy away from what is valuable to achieving your dream. What do we do? Specifies what you deliver to your customers, not in terms of process, but by the real needs that are fulfilled for your customers when they do business with you. How do we do it? Defines the type of products and services you sell and deliver to your customers. For whom? Identifies the target market that is most likely to buy your products and services. Knowing the answers to these questions provides focus for your business and helps you move from the present into the future. Focused on achieving your vision. Prioritized and tackled 1 or 2 at a time. It’s common to reassess goals quarterly and adjust the time frames and priorities based on what is happening around you. Life happens and you need to give yourself room to change. Never underestimate the importance of defining your ideal target audience. Understanding the needs of the unique group of people or businesses that you want to work with, who want or need what you have to offer and are willing to spend money to satisfy that need allows your business to provide tremendous value to those who need it the most. Clearly communicate the value you offer and why they should work with you. Discover opportunities to provide additional services that have been overlooked by others. Establish yourself as an expert in serving that market. Being focused on one particular market enables you to make better choices for all of your marketing efforts, saving you time and money on activities that don’t make sense for your business and the clients you serve. The Internet levels the playing field for small businesses, but in turn, it creates a very crowded market place. Those who can describe how they are different have a competitive advantage over those who cannot. So how do you make your business stand out from the rest? Find simpler ways of doing things? 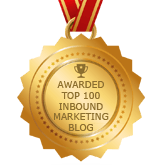 Serve a niche market better than anyone else? Bring a new perspective to challenges that offer unique solutions? Package your services in a way that appeals to your ideal client? Create systems that help clients learn how to do things more effectively? Usually what makes us different need not be a complicated process or service. In many cases, you may offer something that is simple but has extreme value to your clients. We are taught to believe that things of value have to be hard or complex. Just because these things we do are easy for us does not mean they are easy for others. You need to become consciously aware of this value you provide and use it to your benefit. Search engine marketing – Define your top 10 keywords and optimize your website, directory listings, and social media profiles to increase visibility in the search engines. Advertising – Create and manage pay-per-click advertising on Google, Bing, or on social media as appropriate. For example if your goal is to grow your email list, then you need a lead generation campaign that would include search, social and content marketing strategies to attract inbound leads. Your marketing action plan eliminates random activities that create haphazard results. It defines each marketing campaign project in detail and assigns resources, dates and topics to each activity so that it eliminates the guess work. You would need to create a lead magnet, a landing page and possibly use Facebook advertising to promote your lead magnet to the right audience. Once you get people to sign up for your email list, you then want a series of emails that can nurture each lead with valuable information. With a detailed marketing action plan, you always know what you’re doing and when you’re doing it. Most of us built our businesses around our passion and in doing so enjoy our work every day. However, if you are in business to be successful, then you need to view marketing as an investment and take the proper steps to ensure you are maximizing your resources. A simple marketing plan with an action plan to help you be consistent ensures you are focusing on the success of your business. 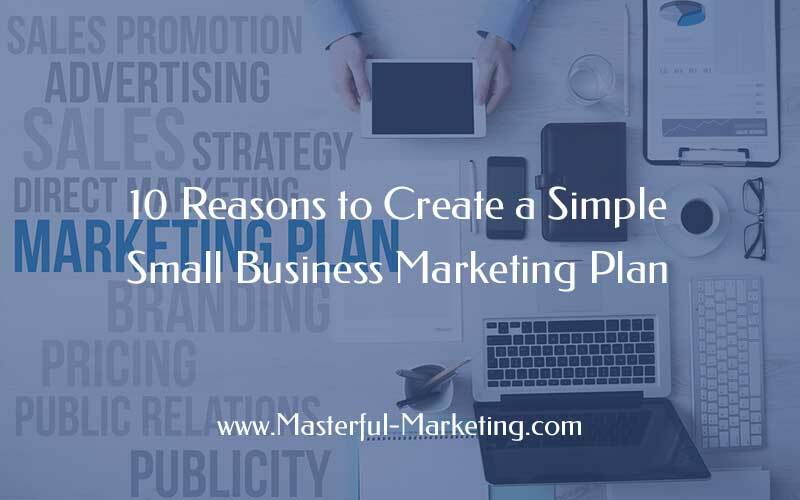 Have you created your simple marketing plan? A marketing plan is what we have really needed in order to successfully market our products. These tips are very helpful to make us more understands the importance of having a guide on every effort to keep us focused on our certain goal. This is what we need to grow our business. The point are really helpful. I have been reading articles on how to start an online business and got inspired to start one. This article has now given me tips on how to do a business plan. Thank you for sharing. I am newly entered in online marketing, I am searching for the tips to get my website listed in search engines. I have found this artical very useful for me.